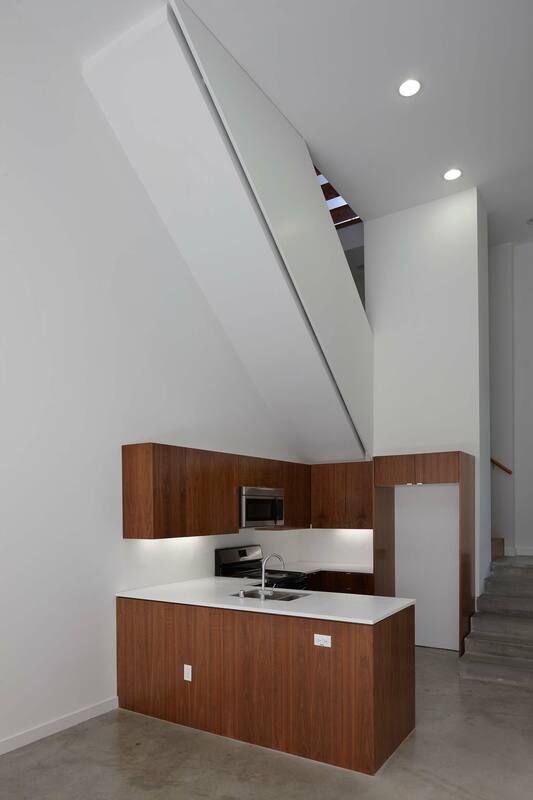 In this seven-unit loft condominium project the existing urban context is utilized as generative inspiration to create much needed mid-density housing within the city. 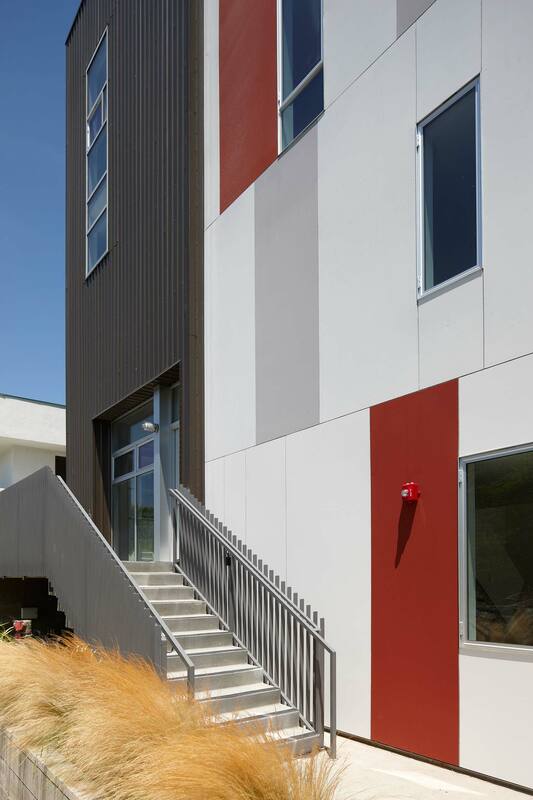 Dark painted corrugated metal and horizontally striped painted MDO panels provide material differentiation and combine with subtle plane shifts to break down the mass and give the project a balanced composition that integrates with the eclectic neighborhood. 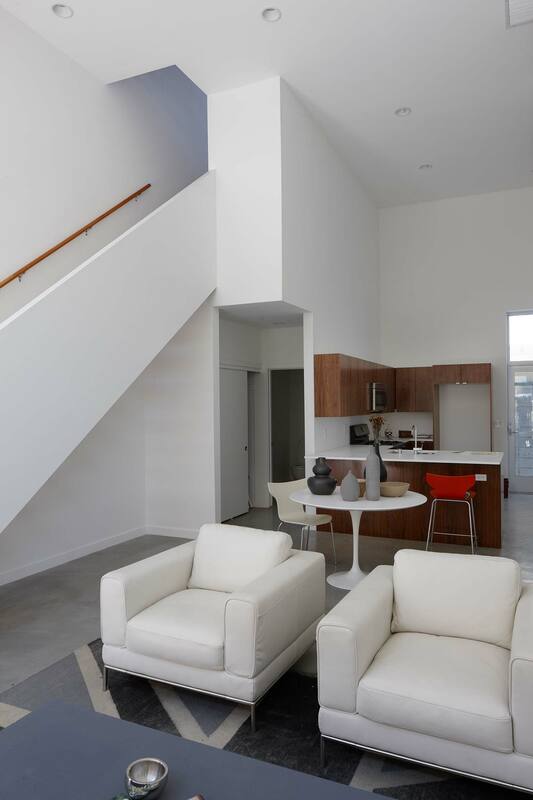 Interior spaces provide open loft plans with 16’ ceilings and polished concrete floors and 24’ high entry spaces. Each unit has a private roof deck with 360-degree views of the city and Hollywood Hills.